Are Our Beloved Smartphones Actually Making Us Miserable? This is the final blog post created by students in Dr. Carter’s Fall 2018 Social Psychology course. It was written by Jackie Hernandez, Shannon Snyder, Autumn Kempf, and Saul Pineda-Torres. Have you ever been in this situation? Out to dinner but still trying to keep up with all your friends? Have you ever stopped to think your phone is getting in the way of hanging out with people “irl” (that’s “in real life” for those who aren’t up to date with the texting lingo)? Ryan J. Dwyer, Kostadin Kushlev, and Elizabeth W. Dunn set out to examine how the ubiquitous smartphone impacts social encounters [in their study]. 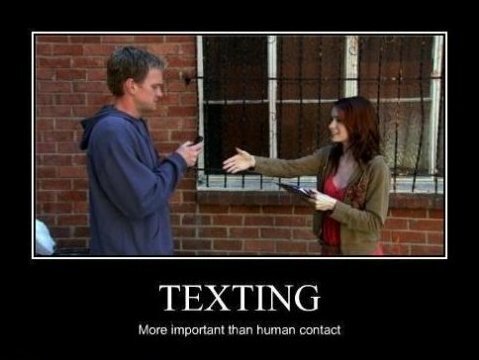 Does phone usage reduce or add to the enjoyment of your interactions? There have been plenty of studies showing the negative impact of phone use in situations like driving and learning, but until now, no studies have actually manipulated smartphone usage in social interactions. Past studies have proven that smartphones cause people to be distracted which, theoretically, could mean the use of smartphones decreases enjoyability in social experiences. The experimenters invited groups of 3 to 5 friends or family members to a local restaurant to participate in a study about “dining out experiences.” The groups were then randomly assigned to be either “phone” or “phoneless” groups. They were implicitly manipulated by being asked, after placing their order, to either answer a text survey (phone group) or a paper survey (phoneless group). The participants in phoneless groups were asked to put their phones on silent in a container on the table. Both groups obviously had the option to use their phone since no one was told they couldn’t. The significant difference was that the participants in the phone groups were explicitly asked to use their phone early on to respond to the survey. The participants were deceived about the true nature of the experiment to ensure the most naturalistic results possible. When the meal was finished, participants were then questioned via iPad (for privacy) about social connectedness, interest, enjoyment, distraction, and boredom. The researchers also measured how much the participants actually used their phones. The whole meal was recorded, so the researchers could break down total phone usage into percentages. Participants in the phone groups used their phones for an average of 11% of the meal, while participants in the phoneless groups used their phones for an average of only 1% of the meal. So, while the phoneless group wasn’t completely phoneless, these participants used their phones significantly less than that in the phone group. Participants in the phone group reported being more distracted, having less interest and enjoyment, and being more bored than the participants in the phoneless group. This data allows the researchers to conclude that distraction caused by phone use does hinder enjoyment. In other words, using phones while eating out with friends could ruin our chances of fun. The results indicated that participants under the phone condition were more distracted and in response reported lower interest and enjoyment levels, and higher levels of boredom. Since whether phone use led to distractions or distractions led to phone use cannot be proven through the first study, the researchers set up Study 2. Study 2 was an extensive survey asking people about situations other than just eating out with friends or family, which allowed more general conclusions to be drawn. People reported that using phones overall cause distractions which lead to less interest in their daily interactions. The irony of this research is that we think our phones keep us linked to the world, when actually phone usage undermines the social connectedness we feel when spending time with other people. The experiment was relatively small and further research should be done, but it does seem to indicate that this amazing piece of technology lessens the enjoyment we get out of spending time with friends and family. The researchers did fail to examine whether the personality or mood of the participants could have played a role in the results. In the future, researchers should ask the participants before the meal if they are looking forward to it. If they are not, they are likely to be more bored and could possibly resort to their phones to fill in the entertainment gap. To summarize the relevance of this experiment, enjoy your life! Put your phones away and soak up the face-to-face conversations with those you love. Because we are so used to communicating through technology, we have to distinguish when we are doing something “irl”. Social media can wait; work can wait. Put away the technology and engage in the world around you. You’ll enjoy it more—trust us, the research says so! When talking about stereotypes and placing someone in a specific group, we do not tend to think about gender differences in children when it comes to performance in different school subjects. We do not necessarily think that gender may affect final scores, specifically in reading, but it does. In this experiment, the authors set out to find data that shows there is implicit reasoning for why girls outperform boys in reading. Overall, the authors are focused on the stereotype that girls perform better in reading than boys and how that affects the boys reading scores. Within this experiment, students were chosen from four classes among a group of public schools. The kids took a reading test designed to measure their recognition and comprehension of written words in a normal classroom setting. Experimental conditions were implemented in the classrooms, and all of the students were assigned to either the stereotype threat (ST) condition or the reduced-threat condition. In the ST condition, the experimenter, posing as a reading teacher, told the students that their task was to take a reading test that was designed to evaluate their “ability in reading”. In the reduced-threat condition, the experimenter, posing as a game designer, told them that their task was to play a game in which they had to underline as many animal names they could from a list in three minutes. After the test, the kids had to answer questions about the test, as well as how important reading was to them. The ultimate findings of this experiment showed that stereotype does, in fact, play a part in boys’ reading performance in school. When looking at the results from the stereotype threat condition, girls performed much higher than boys in reading due to the boys’ perceptions of the stereotype that they tend to do more poorly. Under the reduced-threat condition, however, there was no strong evidence that boys and girls performed differently in the reading assessments. This demonstrates that within a traditional setting, boys are strongly affected by the reading gender stereotype, particularly when in a stereotype threat condition, such as taking a reading assessment. The presence of this stereotype therefore does produce poorer reading results in boys. Although some may argue that the boys’ underperformance on reading tasks are due to the lack of motivation, the findings of this study suggest otherwise. Highly motivated boys still underperformed in reading in the threat condition. This led the researchers to believe this reading difference between genders is because boys are fearful of confirming the stereotype regarding their gender group and reading. These perceptions the boys had because of the stereotype influenced their psychological processing, ultimately affecting how they performed on the reading task. In the threat condition, simply being aware of the stereotype resulted in poorer performance. On the other hand, in the non-threat condition, the boys were not thinking about the stereotype, allowing them to perform better on reading tasks. The main issues present within this experiment are components the researchers failed to consider when making general statements about the effects of stereotype threat in children’s reading performances. For example, the researchers claim that from this experiment, it is evident that stereotype threat largely affects learning and performance in most, if not all, classrooms. This is problematic because they are basing this assumption off their study examining only four different classes, all of which were third grade classrooms from three different public schools in France. Before they make blanket statements such as this, the researchers need to consider who their experiment truly applies to and who it does not. The results of the experiment could vary based on: public versus private schooling, the language children are reading, the country/location the schools are in, the grade level that is being tested, and the number of classrooms that are tested. Citation: Pansu, P., Regner, I., Max, S., Cole, P., Nezlek, J. B., & Huguet, P. (2016). 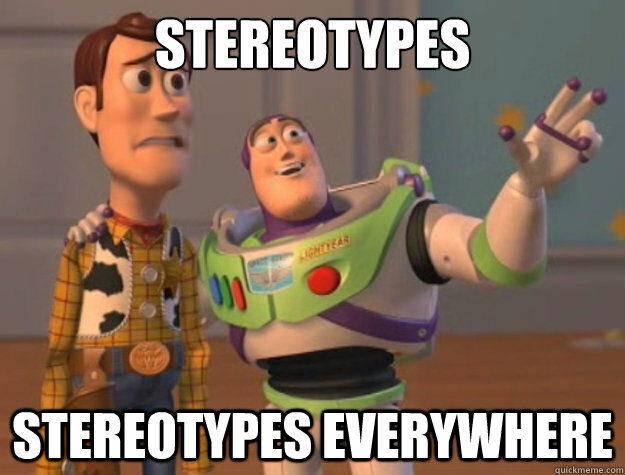 A burden for the boys: Evidence of stereotype threat in boys’ reading performance. Journal of Experimental Social Psychology, 65 (26). The third blog post from Dr. Carter’s Fall 2018 Social Psychology class is titled The Gift That Gives Back: How Being Kind Makes You Happier and was written by Kira Hunt, Yuri Chikada, Holly Garrett, and Jacob Plaster. Enjoy! Aesop once said, “No act of kindness, no matter how small, is ever wasted.” Even the smallest acts of kindness (e.g. holding the door open for someone) don’t go unnoticed by the receiver of the action. It is also a reason that those who ask for help say that even the smallest bit helps. However, those it helps doesn’t just stop at the receiver of the act. One might even say that it makes people feel good to do good, specifically when performing acts that help either a family member, friend, or even a stranger. Recent studies have examined the causal relationship between acts of kindness and well-being or happiness. In a systematic review and meta-analysis titled “Happy to help?” social psychology researchers Oliver Scott Curry, Lee A. Rowland, Caspar J. Van Lissa, Sally Zlotowitzd, John McAlaney, and Harvey Whitehouse analyzed twenty-seven experimental studies that tested the hypothesis that kindness causes wellbeing. Common methods of the studies included asking participants to perform either a set number of acts of kindness or spend a given amount of money on others. 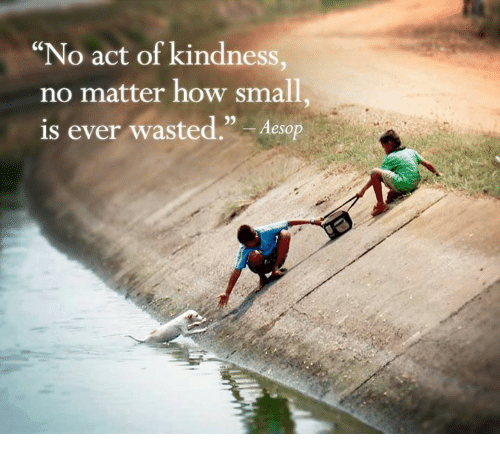 For example, in one study, participants were asked in the following week to perform at least five acts of kindness per day and report not only the act but the responses of the recipient. They were then asked to self-report measures like happiness on scales. Some studies had control participants do nothing, others had the participants act kindly in a non-social activity, while some participants were asked to help themselves. For example, for prosocial purchases (i.e. spending money on others), the control was spending money on themselves. The researchers found evidence proving their hypothesis of acts of kindness improving the wellbeing of the actor (i.e. the person performing the act of kindness). Humans are social beings, and it means that we have psychological mechanisms that motivate us to help others. These motivations include biological and sociological benefits. Kindness towards genetic relatives is favored by natural selection as seen by parental care. Kindness towards members of the same group allows us to form and maintain groups which enhance belonging. Kindness is also seen to potentially improve individual status as it can impress others and potentially attract mates. We also see kindness towards people we may see again as being beneficial to cooperation and the rules of reciprocity. We tend to see people who need help as some reflection of ourselves and it makes it difficult to ignore those people who need help. For example, if you dropped your papers in the middle of the road and those papers spread out, you need some help to collect them all. When we see others in similar situations, we visualize ourselves in that position and potentially the same feelings as those in the situation. After helping those people, we get satisfaction from doing so. This satisfaction otherwise known as happiness is a psychological reward that proves that a problem was solved successfully. If someone acted in a kind way, they can get a good reaction from the person who needed help because the person who needed help had their problem solved. The person who helped made the situation better. It can improve their self-esteem. After that, they can understand how they should help in those situations. There are some limitations of this research, however. Most of the studies had very small samples and many used non-clinical samples. Due to this, it’s not possible to say that those with specific mental problems are affected in the same way by performing acts of kindness. Several of the studies did not account for the motivation behind the acts, so motivation could possibly be another variable that leads to the results. It is possible that intention to help oneself rather than others could eliminate the effects of improved well-being. The studies also didn’t account for the variety of recipients (e.g. family members, strangers, friends, etc.) nor did they investigate any long-lasting effects. Most studies only investigated immediate effects. In align with the motivations previously mentioned, it is possible that certain people had improved wellbeing giving to the groups they belonged to, rather than groups they didn’t. Also, it is possible that this happiness is only a short-term effect and is not important in the long term. Though there does seem to be an outcome of happiness from performing acts of kindness, the effect seems small in the grand scheme of things. Even still, kindness appears to be the best gift to give as it eventually gives back to you.